Saturday, December 22nd at 2:52AM we gave a warm (early) welcome to our newest addition to the family, Baby M! She came to us right before Christmas, a tiny gift weighing 5 lbs 8oz. The sweetest bundle of joy, I fell instantly in love with her. My mother was there for the birth along with my hubby for support. I needed it as her birth was quite painful but quite fast - she really wanted to come out and meet everyone! We ended up getting the OK to go home on the 23rd provided we come back on Christmas Eve for a follow-up and tests etc. 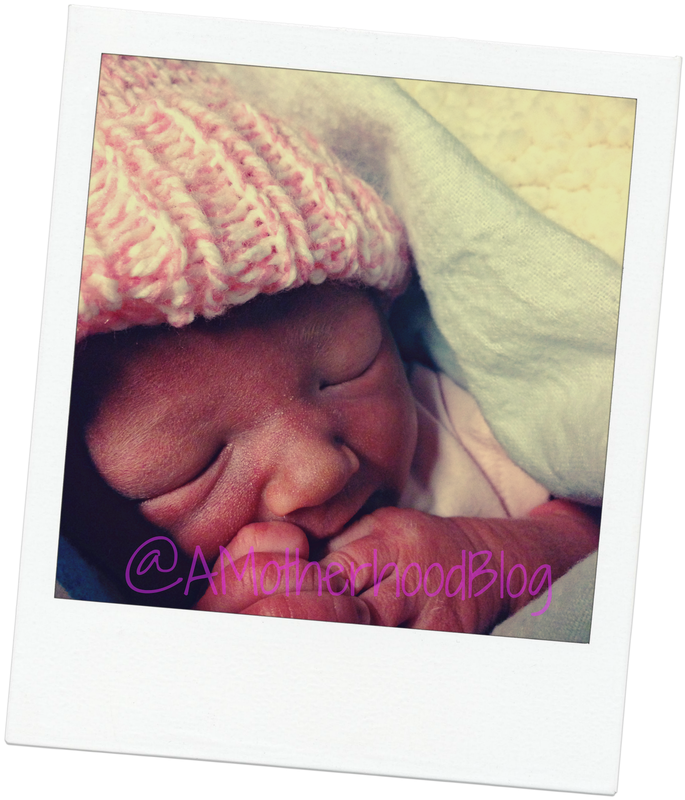 So, the morning of the 24th I gathered up Baby M and took her to the hospital. We waited an hour after the tests for results and then it happened. Baby M had to be admitted to the NICU for Jaundice as her bilirubin levels were quite high. They had hoped it would only take six hours under the bili-lights and another test so she could be home for Christmas morning but this wasn't the case. Our Baby M stayed the night Christmas Eve at the NICU and Christmas day was spent on pins and needles waiting for phone calls - good or bad. During the gift opening at home with the older two kids we got both bad and good news. Her jaundice was clear but another problem arose - she couldn't hold any formula down which was causing a concern to the nurses and doctor. With her blood test clear the hospital called me to get some insight about my previous preemie our son, who had re-flux Re-flux did not allow him to properly digest food and we had to sleep him elevated and burp frequently with feedings to avoid him spitting up his meal. Around 6 pm that evening the hospital called with good news, our Baby M was ready to come home, she was diagnosed with re-flux and changing her sleep position is what helped. My mom was again right there to help bring me back to the hospital but this time to bring our Baby M home! I went from being in a somber mood to being overjoyed within a matter of seconds from that fateful phone call. There is no feeling worse than helplessness when it comes to your children and loved ones being sick. My one and only Christmas wish this year was to have my three babies under one roof for Christmas. I got my Christmas wish. It has been an emotional roller coaster the past five days and the ride is just beginning with this little one as we embark on a new journey as a new family of five. Every day is a new blessing with this baby. Welcome to the family Baby M, Welcome Home! Disclosure: Personal post by AME. All comments, opinions and images are those of the author and are copyrighted. Congratulations!! Wishing you and your family all the best this holiday season. so glad she is home with you and safe! Congrats!! She is just precious...nice to hear she is home safe. Congatulations! She's lovely! both of our kids slept upright for their first 6 months due to reflux as well. Wishing u a year of happiness and dozens of really cute bibs! Make Lunchtime fun with FunBites! Holiday Hosting with P&G's Help!